Are you looking for a wheelchair rental in Houston, TX? 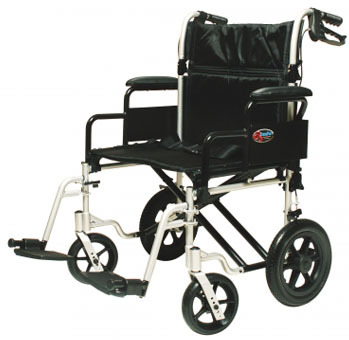 Texas Medical Supply, Inc. offers a full selection of wheelchairs for sale or rent with a variety of features. Our wheelchairs increase mobility and provide self-sufficiency for individuals with either short- or long-term disabilities. Whether for traveling, cruise ships, conventions, or special events, we have a wheelchair that fits your specialized transportation needs. Turn to our company for all of your wheelchair needs. We take pride in providing our customers with sturdy and dependable wheelchairs with all the latest features. Wheelchairs today are made to go where you want to go and offer the features that make travel more enjoyable. Count on us to deliver your rented or new wheelchair for free. That is just part of the service we offer our customers. You may need to use a wheelchair following an illness, accident, or surgery. Whatever the reason, we understand that you need to be mobile and very much want to resume your active life. Rent or buy a wheelchair from our company so that you can get around, whether you need to go shopping, to church, or the doctor’s office. The limitations that life places on people who experience challenges with walking on their own can isolate you and make you feel left out. With a mobility aid from our company, you have reliable transportation so you can shop, run errands, or attend events with family and friends. We like to give our customers plenty of options. This means offering a wide assortment of choices in models and features. Another way to give you a choice is with our offer to rent or buy. When you need a wheelchair for the long term, it is a good idea to consider purchasing a new wheelchair. This way, you have exactly what you want and it is always with you. However, perhaps you are recovering from surgery or an illness. In that case, you may need a wheelchair for only a short time. In this case, renting may be your better option. Or, perhaps, renting is a more affordable alternative for you. Talk to one of our professionals about your situation and we provide you with a workable solution. Our medical supply company offers a number of different types of mobility aids including, shower, mobility, and lightweight wheelchairs from major manufacturers. Bariatric, reclining, and commode-shower wheelchairs provide unique features and support for individuals with special needs. Wheelchairs are either operated manually with you using your arms to propel the chair forward or are battery-powered. You can choose standard weight, lightweight, or ultralightweight chairs, depending on what is best for you. There are even wheelchairs that you can take into the shower with you, as well as chairs that offer easy access when using the toilet. Our experts can help you decide which wheelchair is most appropriate for your needs. Talk to us about any limitations you have, how long you plan to use the chair, and what you will use it for. Then, we can make sound recommendations to accommodate you. When you choose wheelchairs from our company, you are getting the best prices, as well as chairs, from trusted manufacturers. Contact us for affordable wheelchair purchases or rentals from our medical supply company in Houston. We deliver mobility aids to customers in Houston, Spring Valley, Sugar Land, Missouri City, and Mission Bend, Texas, plus all of the surrounding areas.